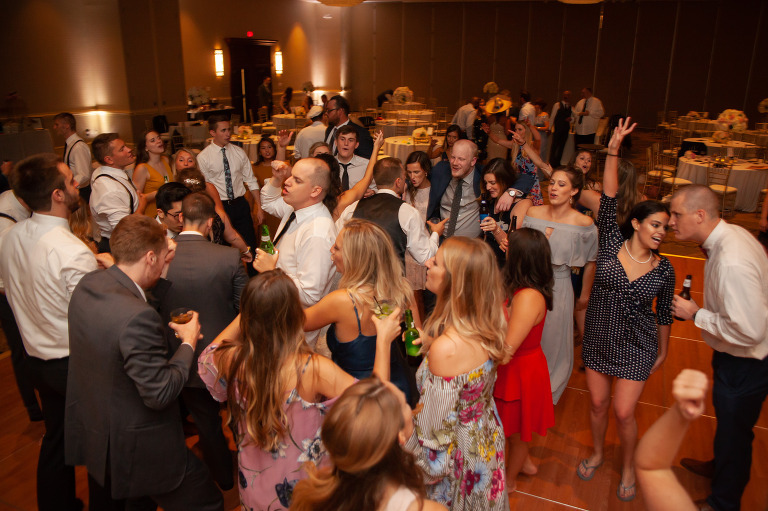 One of the fun parts of being a wedding DJ is watching as the friends of the newlyweds come together to join the celebration. Friends from grade school through college play such a big part of the big day. 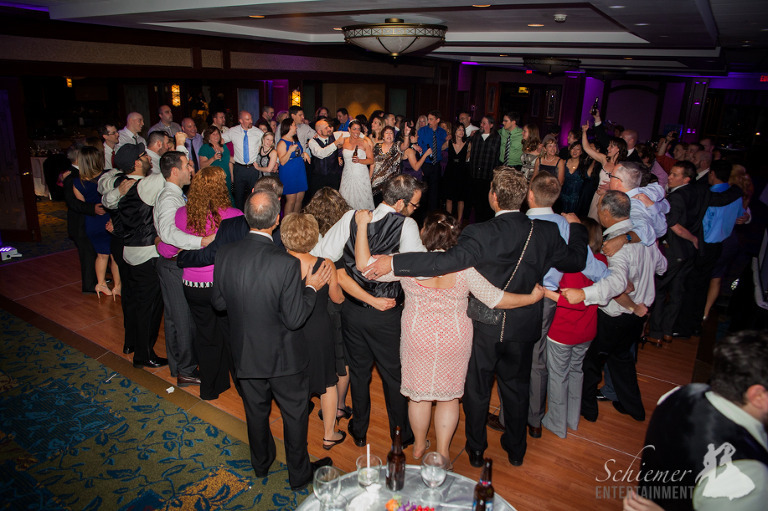 I love the energy that’s created when they gather to party and celebrate with the happy couple. 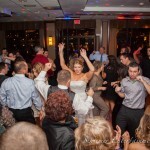 Amanda and Ben invited lots of fun and energetic people who helped make their reception a night to remember. 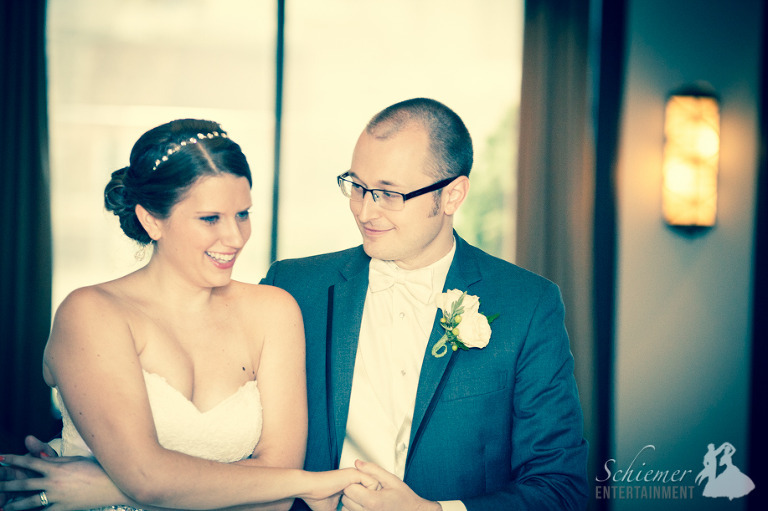 Amanda and Ben held their reception at the wonderful Sheraton Hotel at Station Square. 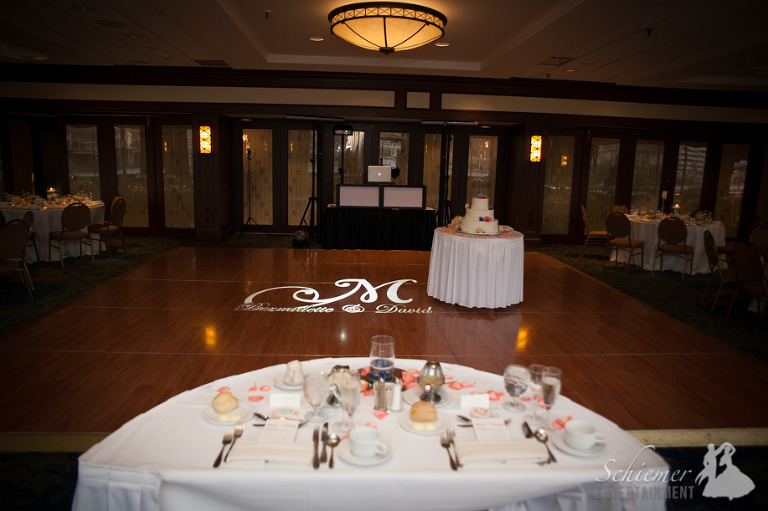 The ballroom looked amazing and I was thrilled that they asked me to provide a monogram on the large dance floor. 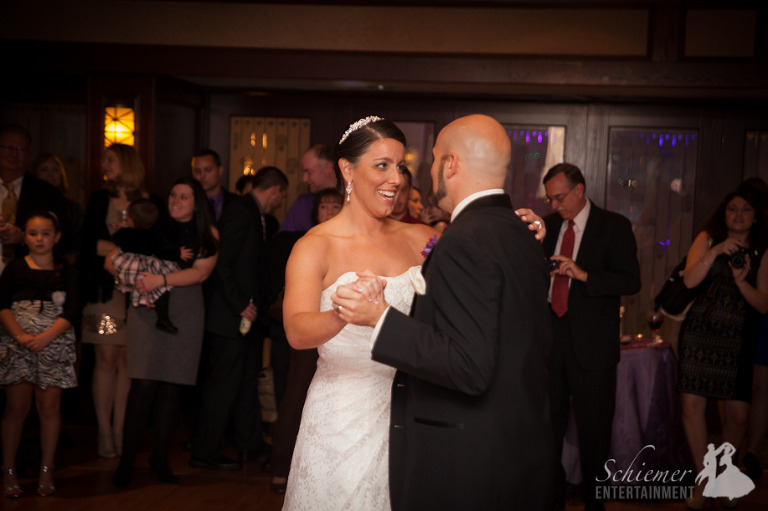 When it was time to dance, their Best Man literally RAN to the dance floor to help get the celebration started! 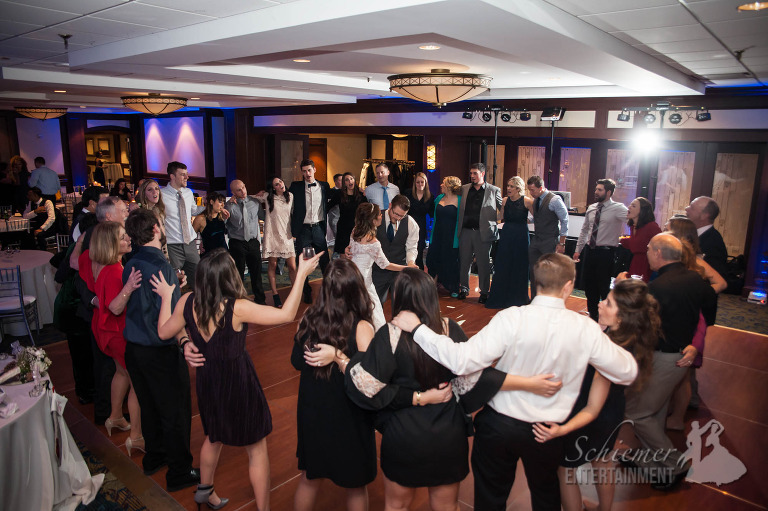 He was soon joined by all of Amanda and Ben’s friends and family for a wild, silly, and fun dance party. 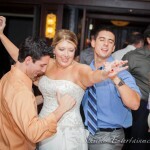 Amanda and Ben’s guests danced to some amazing music from yesterday and today. At the end of the night, many of their friends were ready to head off to an after party. No one wanted the party to end! 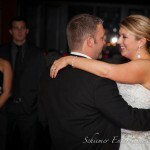 The happy couple will soon leave their friends behind as they head off to Punta Cana for their honeymoon. 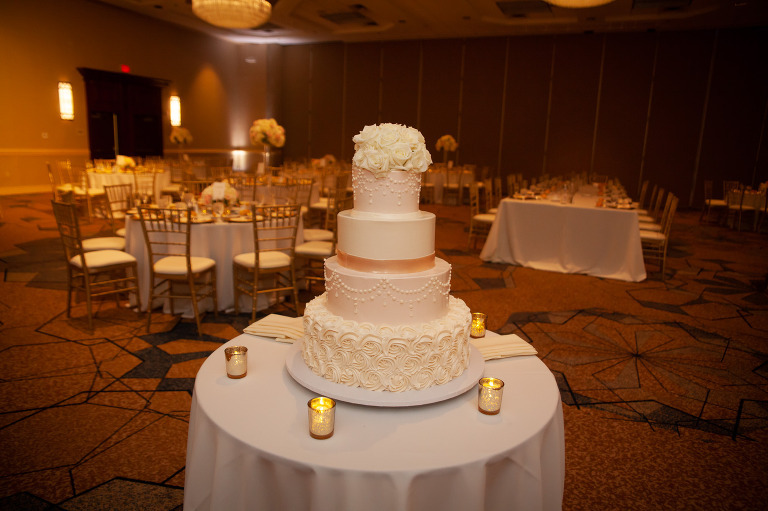 How hard are you willing to work to make your wedding day perfect? The answer is different for everyone, but for those who are able to put in a lot of effort, the results are always amazing. 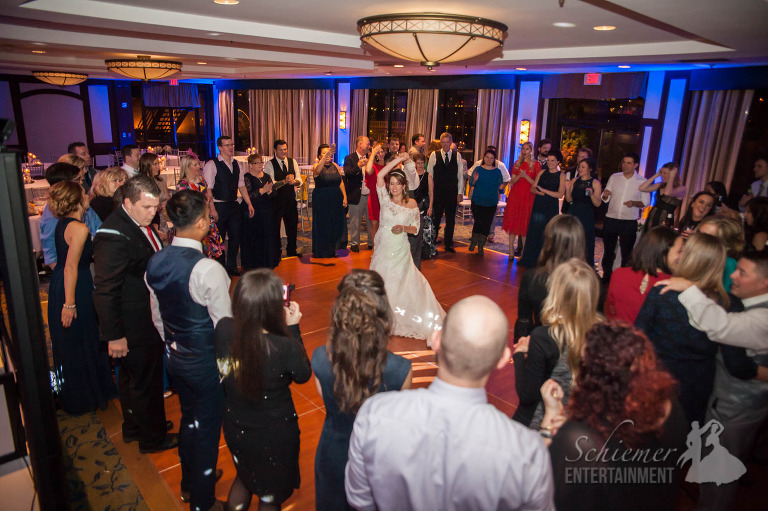 Erin and Ricky raised the bar incredibly high for their amazing winter wedding reception held at the Sheraton Station Square. 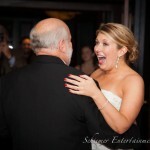 On top of all the other details, Erin learned two choreographed dances for the big day, one with Ricky and another one with her father. 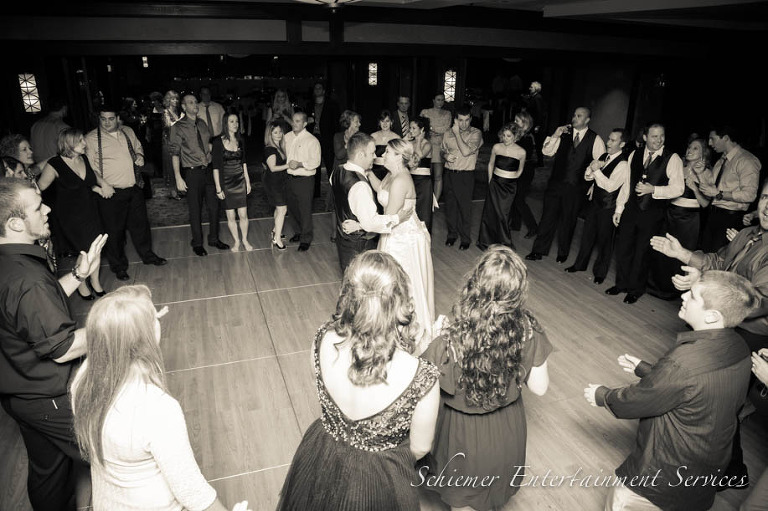 These dances helped make an already wonderful evening even more memorable. 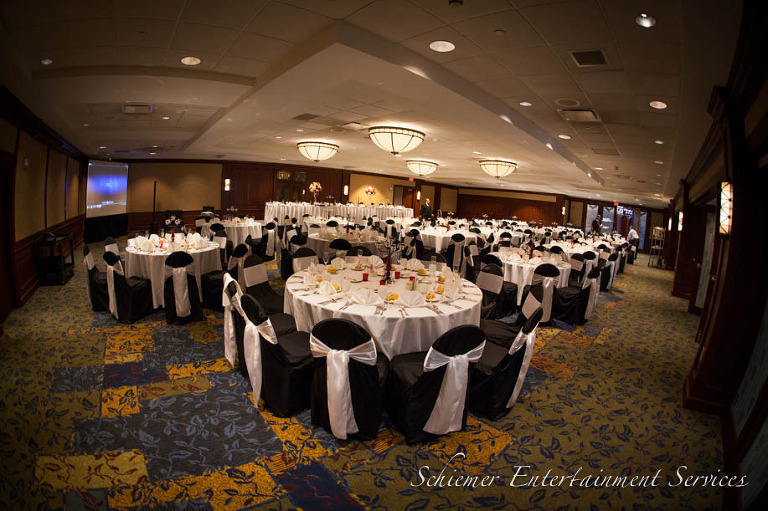 The Sheraton Ballroom looked fantastic and provided a spectacular view of the Pittsburgh skyline. 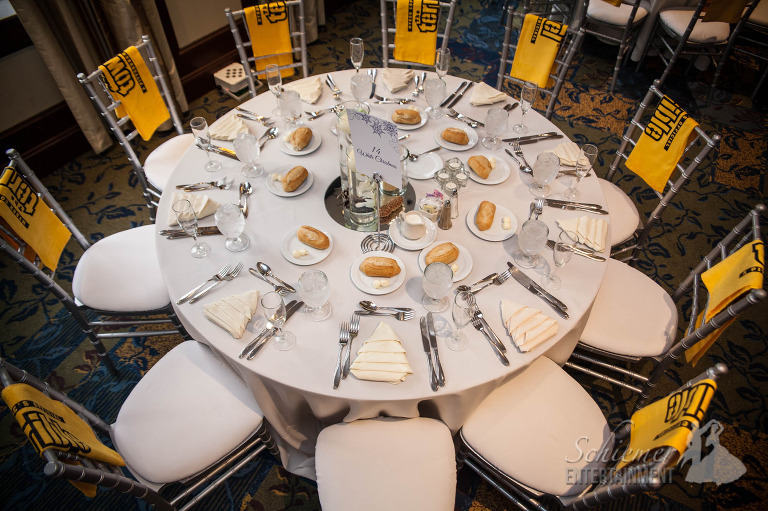 Guests all received Terrible Towels which made for an epic entrance! 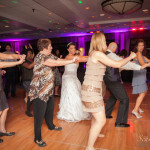 Perhaps inspired but all the special dances, all of the newlyweds’ guests were ready to jump on the dance floor when the party began. There was no shortage of singing, dancing and just craziness. 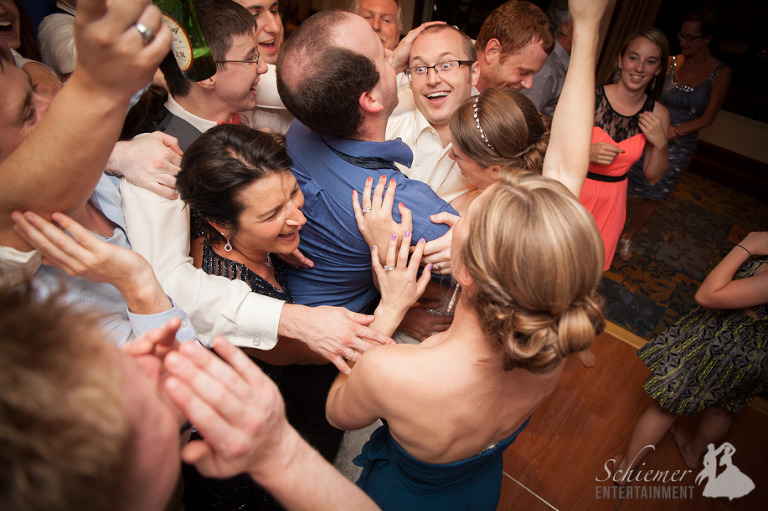 Erin and Ricky’s hard work resulted in the most perfect of celebrations. The happy couple is now off to Jackson Hole, WY for a well deserved honeymoon. Let’s face it, some people just know how to throw a celebration. Sometimes from the moment cocktail hour begins, you can just tell that a reception is going to become an absolute party. 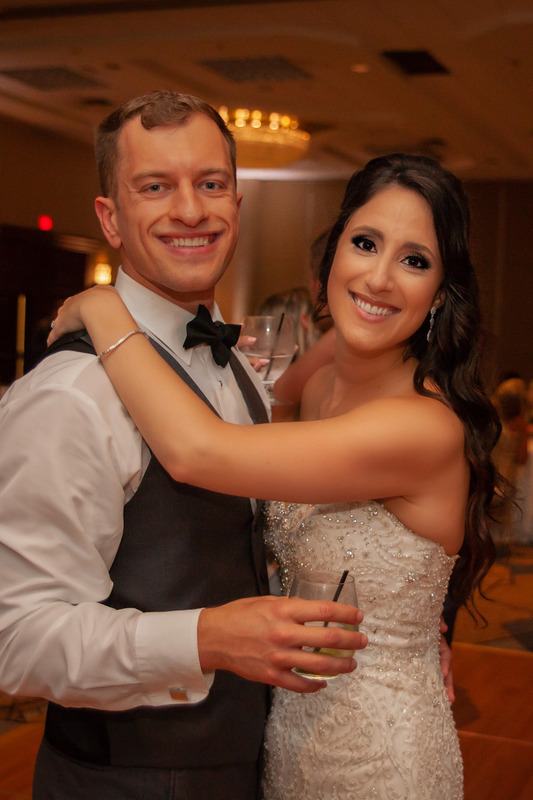 Bernadette and David held their reception at the Sheraton Station Square, and their guests could not have been more excited to watch them have the best night of their lives. 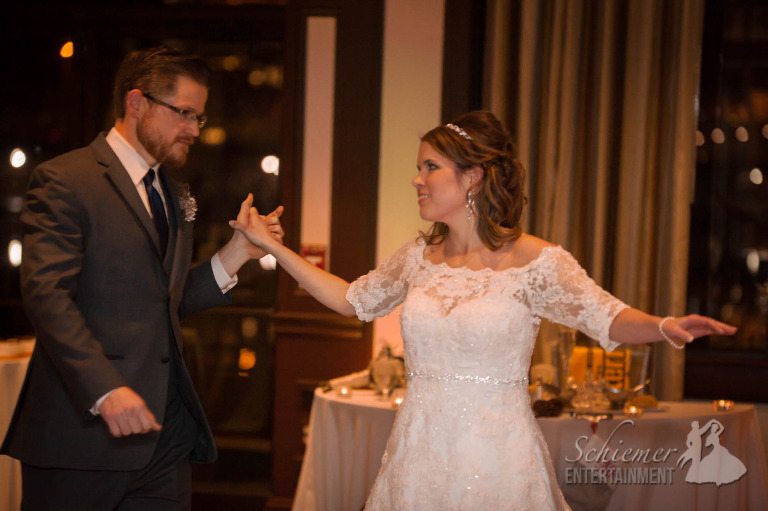 Bernadette and David were tons of fun to work with, and they had complete trust in me to help make their reception perfect. 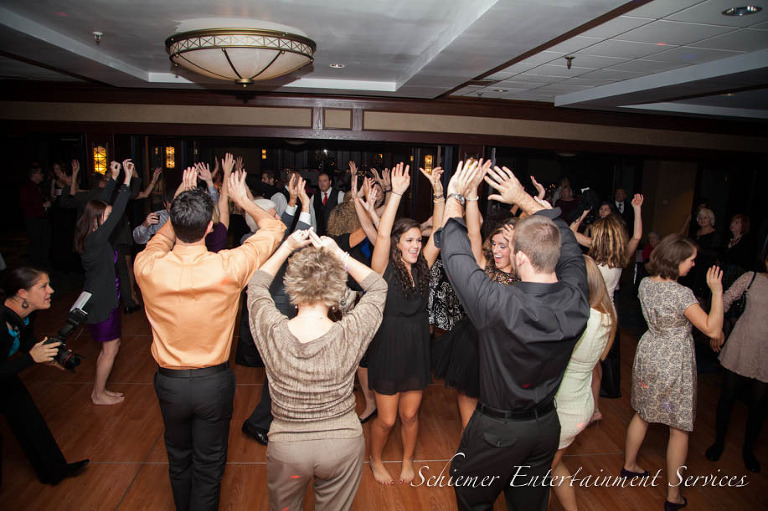 They chose a great mix of genres, but really just wanted to be sure everyone danced and had a great time. 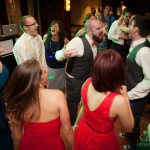 I had a head’s up that this night would be amazing since I had played David’s sister’s wedding a couple of years ago. 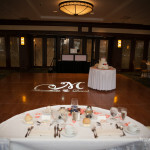 They also chose to have me provide a monogram for their dance floor. I love this personal touch. 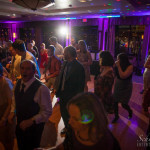 Thankfully they thought to extend their evening in advance, and this allowed lots of time to include a great mix of music from 90’s punk, pop, and modern hits. I love the chance to get to play a few unique songs that you don’t hear everywhere. 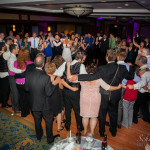 At the end of the night, Bernadette and David’s friends and family still had as much energy as ever as they danced, sang. hugged, and cheered louder than ever. The newlyweds are now off for a little alone time in Dublin and London for an amazing honeymoon. 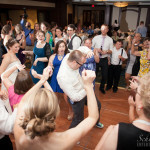 Most people look forward to seeing their friends and family get a little silly and crazy during their wedding reception. One way to set the mood for a great celebration is to be willing to get a little wild yourself. 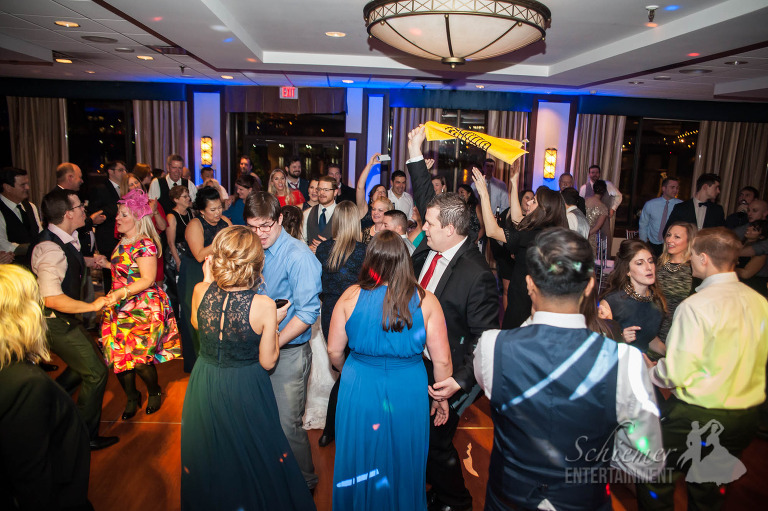 Stephanie and Jean-Pierre certainly understood how to create the perfect mood for their incredible party at the Sheraton Station Square. 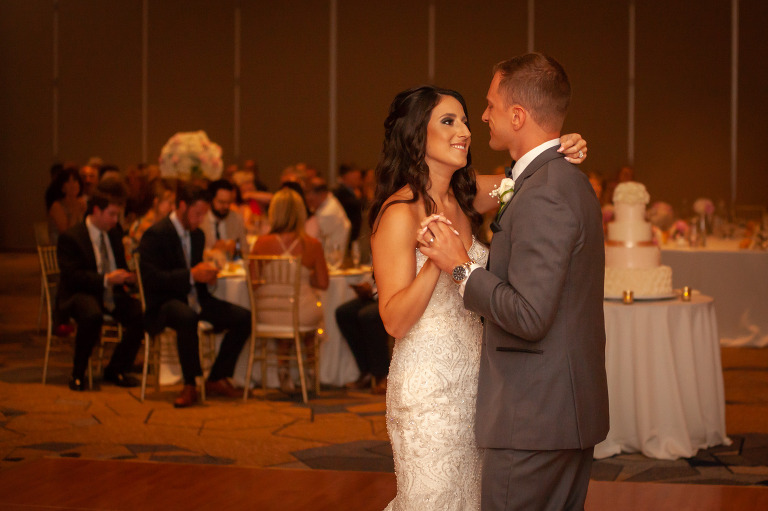 The newlyweds choreographed their first dance as husband and wife to Michael Jackson’s “Thriller”, which made it clear that this was going to be a wedding reception like no other. They also included some unique music for the entire evening, including a dinner music playlist consisting of The Beatles. 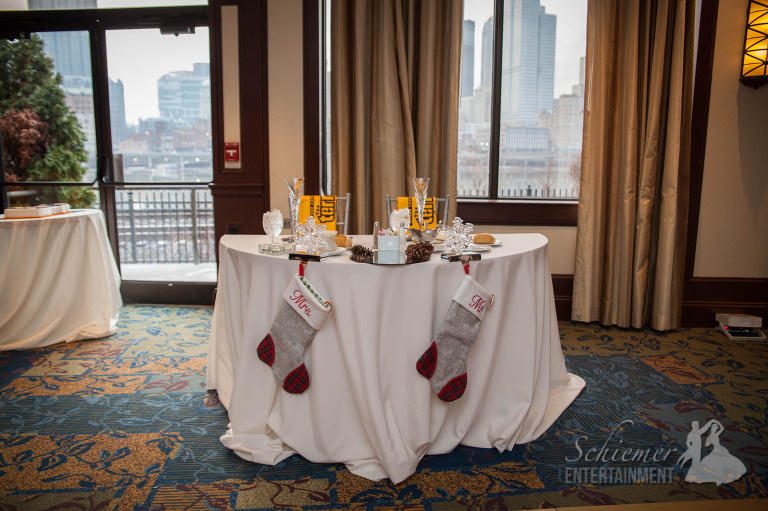 The Sheraton was the perfect venue for their guests to enjoy singing, dancing and the incredible view of Pittsburgh. 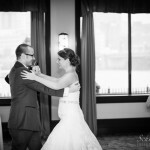 Stephanie and Jean-Pierre are an incredibly fun couple who chose to include lots of their own personalities on their special day. 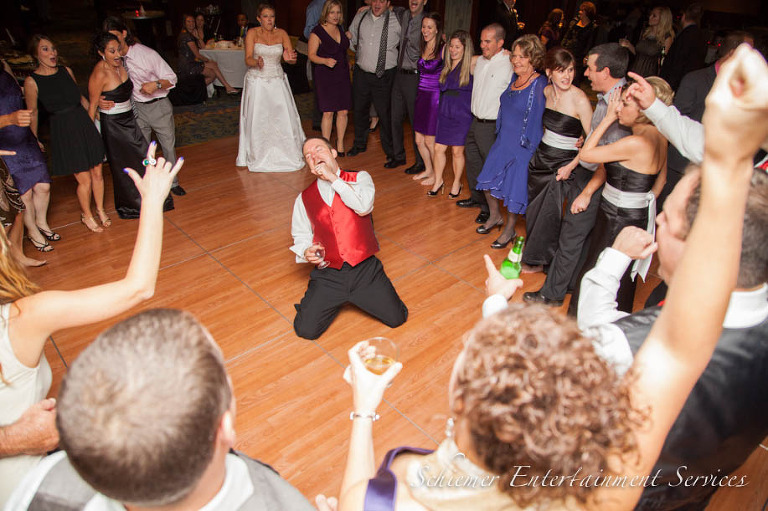 This really helped all of their guests to relax and get a little crazy too. 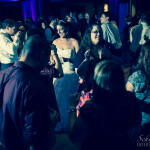 Everyone had a fantastic time dancing to a great selection of music and no one wanted the party to end. 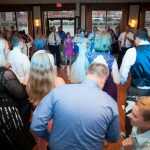 Many guests stayed around long after the music ended to wish the newlyweds well before they left for their honeymoon in Panama. 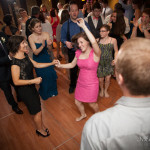 Weddings are filled with special moments, but I feel the ones that are unexpected and unique are the ones your guests will remember for years to come. I assure my clients that I won’t spring any surprises on them, but if I can help bring a great idea to life, I’m always glad to help. At the reception of Dana Barvinchak and Bradley Williams, I was able to assist in a great moment which surprised all their guests. 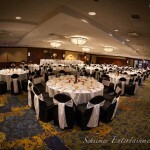 The reception was held at the Sheraton at Station Square. 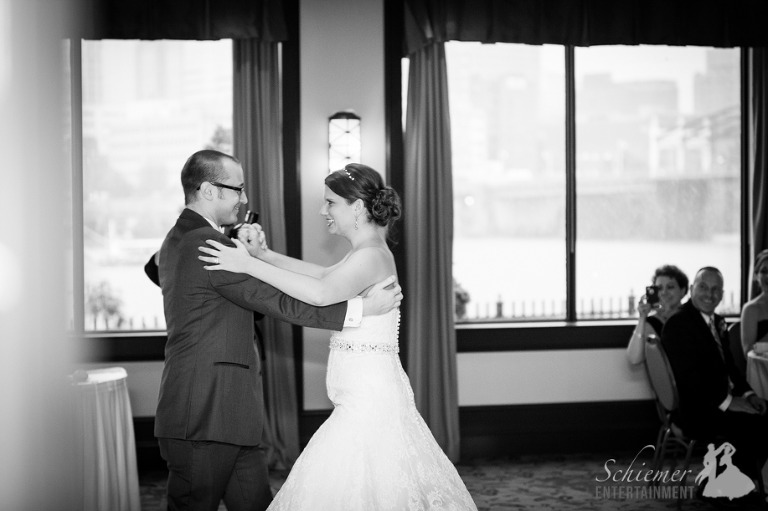 Not only does the hotel provide a great ballroom space and attentive staff, but also the view of Pittsburgh provides a great backdrop for a celebration. Dana and Brad secured a projector and screen from the Sheraton on which to play a slideshow of photos from their childhood through present day. We had prepared to play the slideshow shortly before dinner. 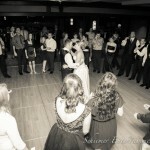 As a surprise to their guests, the newlyweds sent me a photo of themselves and the bridal party from earlier that day. 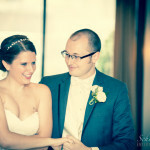 I was able to insert this photo at the end of their slideshow, and when it appeared on screen, their guests went wild! This simple unexpected addition kept their guests buzzing all through dinner. 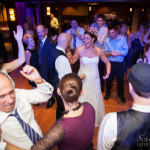 When it came to choosing music, Dana and Brad had some fun ideas which really kept the evening’s atmosphere upbeat and fun. 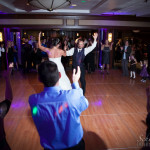 Their guests weren’t shy about coming out and filling the dance floor right away.When it came to choosing music, Dana and Brad had some fun ideas which really kept the evening’s atmosphere upbeat and fun. 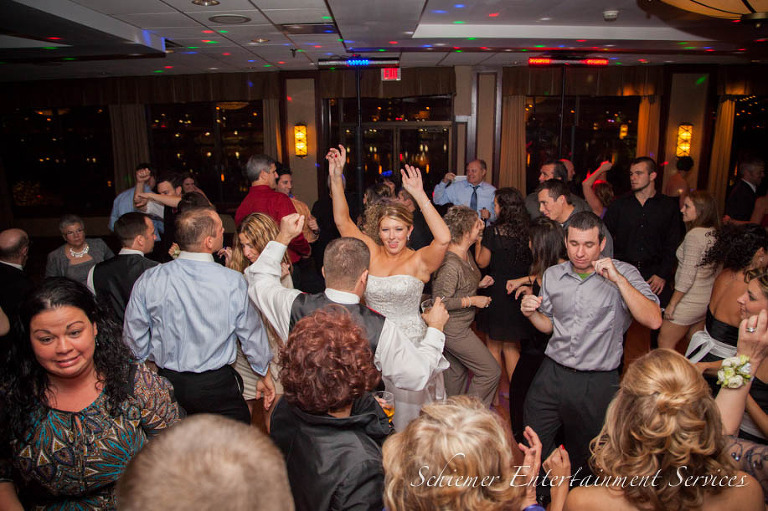 Their guests weren’t shy about coming out and filling the dance floor right away. 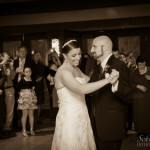 I had such a great time working with Dana and Brad on each aspect of their special celebration. 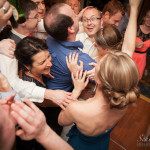 Their creativity and enthusiasm was infectious as they planned the perfect day for themselves, as well as their friends and family. After two encore songs, it was time for the couple to head off for the their honeymoon in Aruba. They can relax knowing they succeeded in proving a day that no one will soon forget. 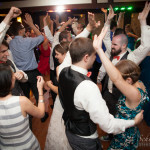 Many of my friends were surprised to hear I’d be DJing a wedding on New Year’s Eve this year. 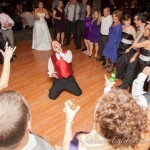 As I worked with Cara Kappler and Dave Oechslein, I came to realize what a perfect match these two occasions would be. 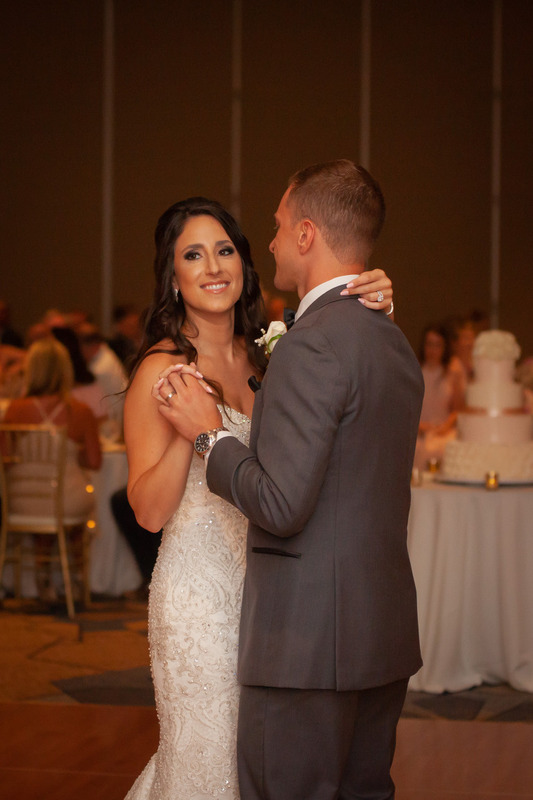 It was perfect for them to be with their friends and family, celebrating the beginning of a new year while starting a new chapter of their lives as husband and wife. I was impressed with how Cara and Dave created the schedule to be certain most of their guests would be happy to stay at the reception until past Midnight. 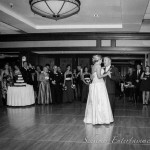 When the newlyweds had their first dance after dinner, everyone was ready to begin the celebration of the upcoming new year. The great variety of music that was a played throughout the night was selected by Cara and Dave to be sure there was something for everyone. Of course there were New Year’s Eve hats and noise makers which really helped get everyone ready to welcome 2012. 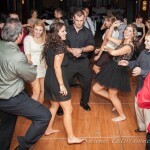 Cara brought so much life and fun to the dance floor. 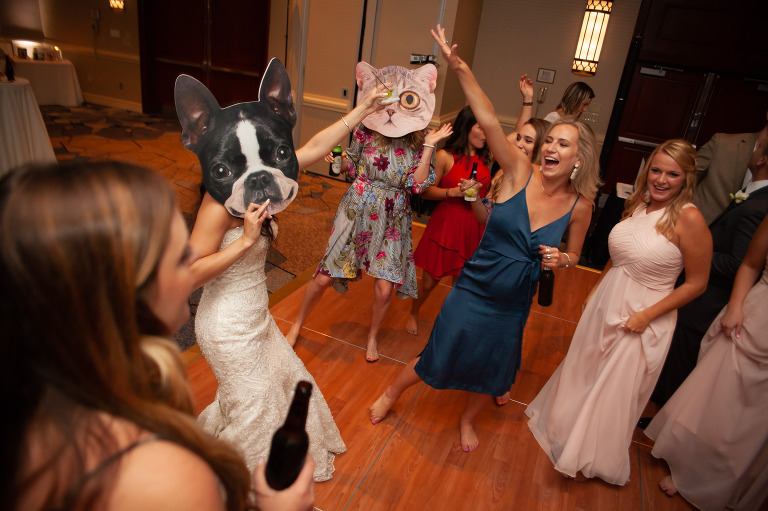 Every bride should get to have this much fun! 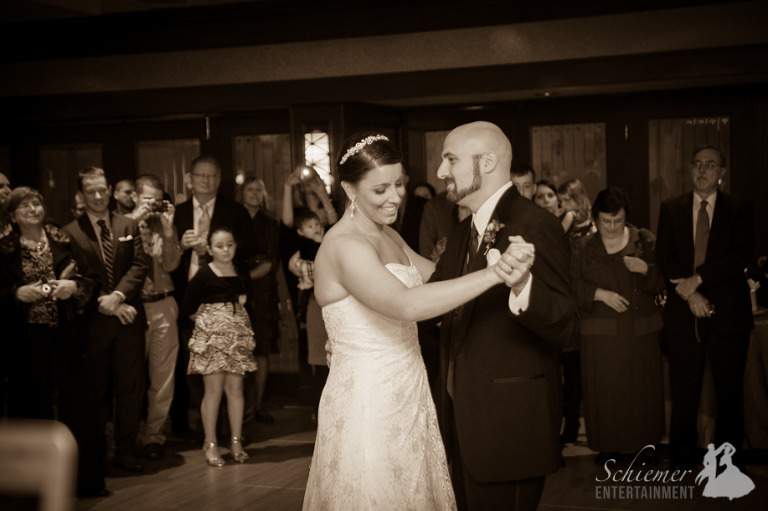 Cara and Dave’s began a new year together in a unique and elegant style that was extraordinary. 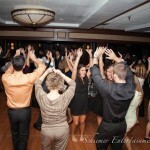 Their guests kicked off 2012 in such a fun way, it should keep them celebrating all year long.